When you work with the HVAC team here at Cool Sunshine Heating and Air Conditioning, Inc., you’re working with one big happy family who want to make you part of it. We were established in 1996 and incorporated in the State of Colorado in 1997. Our founder, Perry Valentine, started out doing residential constructions and designing duct installations, and since that time has grown our company into the family-friendly service our customers know today. For the best heating and air conditioning services in Wheat Ridge, CO, contact our HVAC technicians today! We’ll help you understand your best heating and air conditioning options. 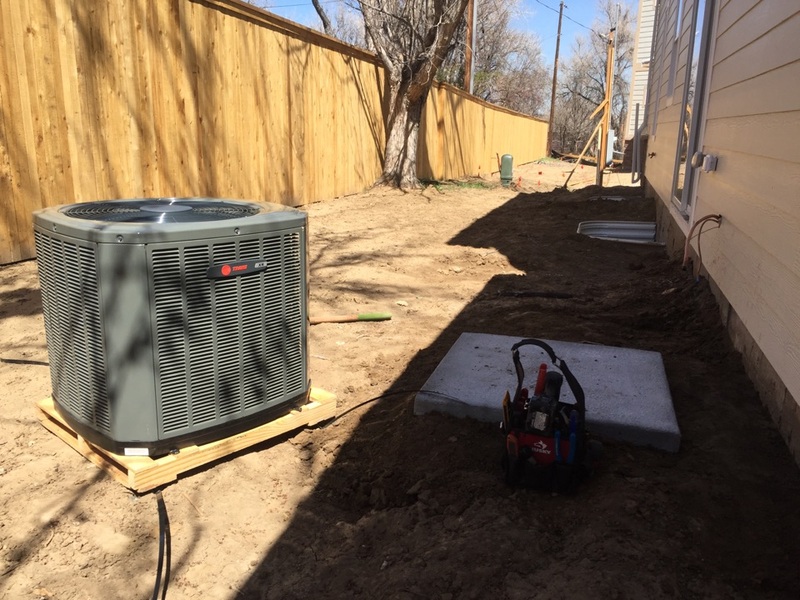 Contact Cool Sunshine Heating and Air Conditioning, Inc. today and get personalized HVAC and indoor air quality service in Wheat Ridge, CO.
Is your air conditioner over a decade old? If so, it’s a good idea to think about a new air conditioner, even if you have no apparent major problems to speak of with your existing cooling system. This is because the efficiency of the newer models on the market is so much better than the older models. As a result, you’ll quickly recoup the cost of your AC replacement with savings on your utility bills. You should always keep up on your air conditioning maintenance appointments if you have any hope of avoiding emergency breakdowns and other cooling system problems. During your AC tune-ups, our technicians will thoroughly inspect your system, clean it, make adjustments, and check for any repair needs that need immediate attention. Handling AC repairs now means avoiding emergency breakdowns later! Let’s talk about furnace installation. Did you know that a more powerful furnace isn’t necessarily the right choice for your home? That’s right—a heating installation can be too powerful, just like a new heater can be too small. This is why you want to work with the Wheat Ridge, CO heating pros, like the staff on our team. Whether you’re deciding on a new furnace or want to learn the benefits of a boiler installation, we’re the team to call! Contact our team today to learn more about our Wheat Ridge heating services. How’s your heater operating? Is it keeping your home comfortable, yet running longer and working harder than it used to in order to do so? Getting professional attention for your heater will make it less likely that you’ll have an emergency situation on your hands later ne. This can wind up saving you a lot of money in the process. Call our team whether you need furnace or boiler repair, and be sure to schedule heating maintenance to help your system last as long as possible. Homes today in Wheat Ridge, CO have been constructed tightly, in order to allow for no air to escape. This is great news for your HVAC systems, which can operate much more efficiently than they used to, ultimately saving you money on your utility bills. It’s not good news, however, for your indoor air quality. It can lead to humidity problems as well as contaminants in your air. Contact us today to learn about our suite of indoor air quality products, such as air purifiers and whole-house humidifiers.